“I will NOT give in! – No way…” Even in the face of an earth shattering storm, or a length down with 250 meters to go, or being told to go home – you’re not good enough. This is truly a magnificent personality trait of all great rowers. Think of times when you did something extraordinary, a time when you continued on into the storm when those all around you fell away. You kept going, you persevered through night and day despite people firing negative shots at you from the shadows. You kept going despite them and despite… yourself. And you got there. You stood on that podium, or on that erg room floor, victorious after a life altering, mentally ravaging battle. And you did not even flinch. Everyone loves an optimist – especially a realistic optimist. Great rowers have this personality trait in spades. How many times have you been in a dark situation in your rowing or erging life when you stepped forward and offered yourself a glimmer of hope? A small, instantly realisable task that you can set to work on and learn to row your way out of darkness. And then you cherish that optimism and nurture it and grow it into something tangible. And you row out into the light. Do you think about rowing more than 7 times a day? 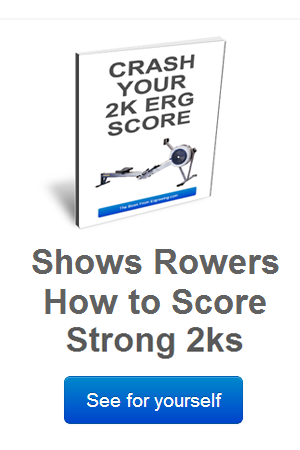 Do you surf the web endlessly searching for new answers to age old rowing problems. Maybe you talk a lot about rowing and your friends do too? 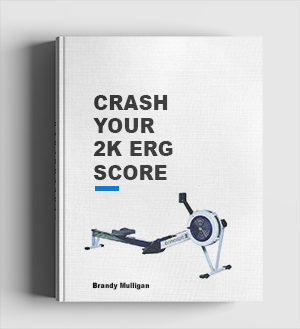 That’s ok. You’re probably a rowing obsessive – and that’s exactly what you need to be. Most of your best ideas and discoveries will come when you occupy at the back of your mind, thoughts of rowing . Opportunities will arise and new ways of looking at your rowing life will present themselves to you when you are alert and open. Sports psychologists and self help gurus talk about visualisation. Which is just a fancy way of describing day dreaming. I bet that you dream from time to time in broad daylight. From winning the big race next summer to smashing your P.B. at the CRASH B’s to sitting in the stroke seat of the 2016 Olympic winning 8. We all do it. Or maybe it’s more immediate dreams like pulling a big score on the erg at your next team workout and impressing your coach. To be successful at rowing you must dream. And you must dream big – with emotion. Think about how it will feel when you hit your goal, think of the details – little things like the sounds, smells, environment, the water conditions, air temperature…whatever. If you can dream well then chances are that one day, when your time comes, you’ll take it with both hands. Most rowers have a degree of honesty about them that’s often difficult to come across in ordinary everyday life. Rowers live in the real world – the world of cold, hard early mornings and heavy training late in the evening. Rowers live in a world where the old cliché (even though we don’t like it) ‘no pain, no gain’ rings cold, hard and true. Be honest with yourself, in your training, in your racing, in your commitment and in who you are. And you will be rewarded with a great honesty back from rowing. Everyone knows a rowing nut that just keeps talking that they are going to do this and do that. You know the type – the guys who say they are going to be in the top 8 by next summer. It’s hard not to be sceptical of this kinda talk. And you know what, every rowing group needs one. But the best rowers are realistic. They know where they’re at and they know where they want to go. And most of the time they have a good plan on how they’re going to get there. How do you square being realistic with dreaming? Well, most realistic dreamers have realistic dreams – goals that they someday can reach if they believe in hard work. Have you rarely, if ever come across a rower who is not a good judge? Every day rowers must make big calls in the boat, on the erg, and in the gym about themselves and about others. And when a rower is making those big calls they grow into wise, insightful, wonderful people. Using intuition, experience, intelligence and reason they become like the Oracle at Delphi – a great symbol of ancient and revered knowledge. Imagine you had to go into a life and death battle. And you knew that your life depended on the work ethic, intelligence, bravery and trustworthiness of the people you choose to go with you. If you had to pick 3 – 5 people that you could honestly trust to fight-the-good-fight with, who would those people be? You would choose the best rowers you know because they are the kind of people who will fight for you and with you right up to the end and beyond. I love this – all so true! so, if u have all of the obove- should you try it? Great article and so well written. Thanks for reminding me who I am. Oh and I’ve chosen my 4 people that immediately came to mind that I could “honestly trust to fight-the-good-fight with”. And, of course, these are people I’ve already done that with whether in rowing or the rest of life. So important to know in our minds who those people are. They are the ones who are with us, for us, and enable us to go deeper, be stronger and manifest our high ideas all the while they are doing the same.